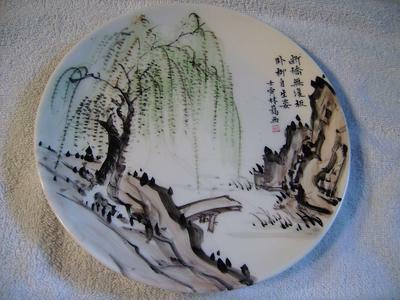 A plate decorated in the classical style of Chinese paintings. In my view this is modern. 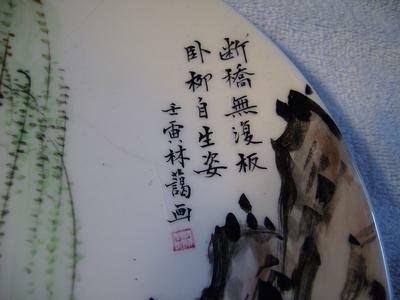 There is a simplified charactr used which means it cannot be earlier than 1960s.